Aggregates add structural and aesthetic value to landscapes. They help create the smooth and attractive transition from house to garden, and they also work to add function and texture to gardens. Some of the most popular aggregates used in garden landscapes include sand, gravel, stone, and limestone. These aggregates are sourced nearby from your local sand and gravel supplier. And they suit all climates, being able to withstand the harsh Canadian winters. Here’s an in-depth look at the role aggregates play in in the landscaping process and the many ways they can be used for landscape function and décor. There are many considerations in a landscape design, with the function being just as important as appearance. Of course, you want your garden to look beautiful, but you have to consider underlying factors as well, such as drainage, gradation, erosion prevention, settlement, and destructive weeds. Here are some of the basic tips to follow for DIY landscaping with sand and gravel. Gravel is probably the most versatile aggregate for landscaping. It is natural and flexible, suiting various landscape styles, and fitting any shape. Gravel is also easy to change and work with—you don’t need a jackhammer to remove gravel. Gravel provides adequate drainage in flower beds and prevents the buildup of water around foundations. It’s an excellent alternative to mulch in garden beds and it’s an ideal ground cover that won’t pool water. It’s also more cost-effective to cover an area, such as a patio, walkway, or driveway, compared to pavers. Sand and crushed stone help level and cement patio stones, pavers, and walkways. These aggregates also act as a foundation for steps, ponds, and planters. Larger rocks are used to prevent erosion in garden beds. They also give gardens a finished look when used to define path edges between soil and gravel. When working with sand, gravel, and rocks, you can create a variety of functional and attractive landscape designs to suit your home and garden. There are various types of aggregates, sand, and gravel to use in landscaping, with some being more advantageous for some landscaping projects than others. Gravel ranges in size and texture. You can find gravel stones that range in size from 1/8 inch to 1 ½ inches. Natural, weathered river rock gravel pebbles are round. And machine-crushed gravel has sharp, irregular shapes. For low-traffic areas, river rock is the more attractive choice. They are ideal to look at but not to walk on since these smooth, larger pebbles are less stable. For high-traffic areas, such as walkways and patios, crushed gravel is more functional. These smaller, irregular pieces fit well together and create a stable surface to walk on and support patio furniture. Patio furniture can easily slide into the smaller stones for a stable footing. A common all-purpose gravel is 3/8 inch. This size is also used as an alternative to mulch around plants. But if you want a gravel pathway that is softer and easy on bare feet, opt for ¼ inch or finer natural river pebbles. Due to its stabilizing quality, crushed stone is commonly used under patio stones, interlocking stones, driveways, pathways, and sheds. River stone is attractive and decorative, coming in various colours. This stone is often used for stone walkways and patios. Stone dust provides a stable base for hot tubs, patio stones, and pavers. It also has a cementing quality when wet. For an even base, washed concrete sand is the ideal landscaping sand for use beneath patio and interlocking stones. Topsoil—for seeding and sodding lawns. Grass seeds or sod to grow lawns. Flowers, plants, trees, and shrubs. Top dressing soil for top dressing a lawn, garden bed, or creating a new garden bed. Mushroom compost to blend with soil in flower and garden beds for added nutrients. Mulch to prevent weed growth. Like any project, you must first start with a plan. Think about how you plan to use your landscape. Do you want it to be a relaxing escape? A place for the kids to play? Or have multiple uses? The best way to plan a landscape is to draw your vision on paper. You can work with this plan, moving things around until you’re satisfied, instead of having to redo your actual landscaping work. Measure the areas you will be working on so you can order enough supplies to get the job done smoothly. Visit your local garden nursery to shop for plants and flowers. And contact your local sand and gravel suppliers to order the aggregates for your project. Imagine having your very own beach to escape to in your backyard. Just choose an area you’d like to transform and start planning. You’ll need to excavate the area, including removing grass and weeds. The size of the area will determine how much aggregates to order. Contact your local sand and gravel supplier to order the right amount of landscaping supplies. Dump gravel in the excavated area and rake it to create a flat base and dunes. Scoop out gravel where you want to create planting pockets. Thoroughly wet the gravel and allow to dry overnight so it firms. Use potting soil to fill planting pockets and plant beach-themed plants, such as Japanese blood grass or Canna “Tropicanna.” Make sure they are hardy to your climate zone before selecting your plants. Cover the gravel with playground sand, add larger rocks, driftwood, and beach chairs. Depending on where you live, you may also be able to add a fire pit, so check your local burn laws. Traditional cottage gardens use an informal combination of landscaping materials and are known for their large-petal flowers. For your garden, plant mixed perennials to add bursts of colour and big flowers to add volume—think roses, hydrangea, and peonies. White picket fences around the gardens. 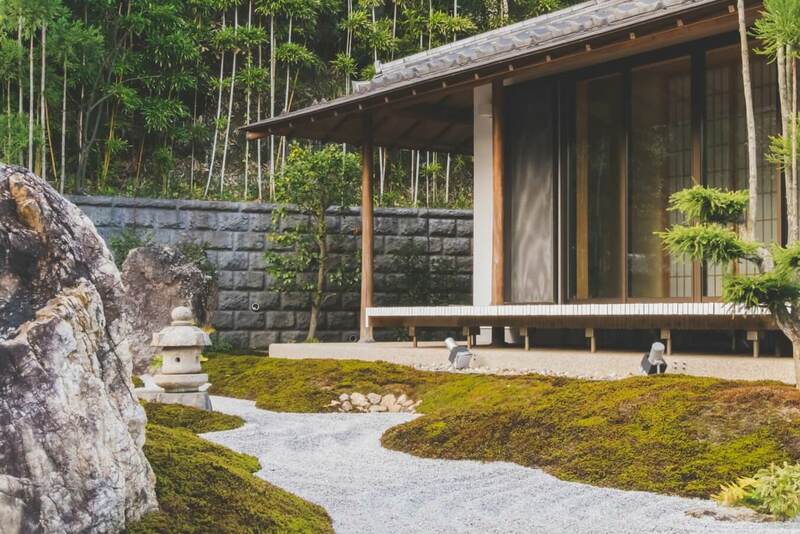 For a relaxing escape, a Japanese Zen garden can provide a place for peaceful meditation in nature. These gardens have important design principles, including symmetry, symbolism, and enclosure using large, medium, and small components for balance. Use rocks of all sizes, from river stones to boulders to create a focal point in your garden. Spread pea gravel or brick sand around the rocks. Rake the sand or gravel into patterns, such as straight lines, concentric circles, or wave-like patterns. Use climate-specific evergreens for year-long colour—such as Japanese maple, Japanese black pine, and heavenly bamboo. You can also use bamboo fencing for privacy and hang lanterns to enjoy your garden at night. Your landscape design options are endless. All you need is a plan and the right aggregates and supplies to transform your garden into a beautiful backyard oasis. Copyright © 2019 A.L. BLAIR Construction Ltd.